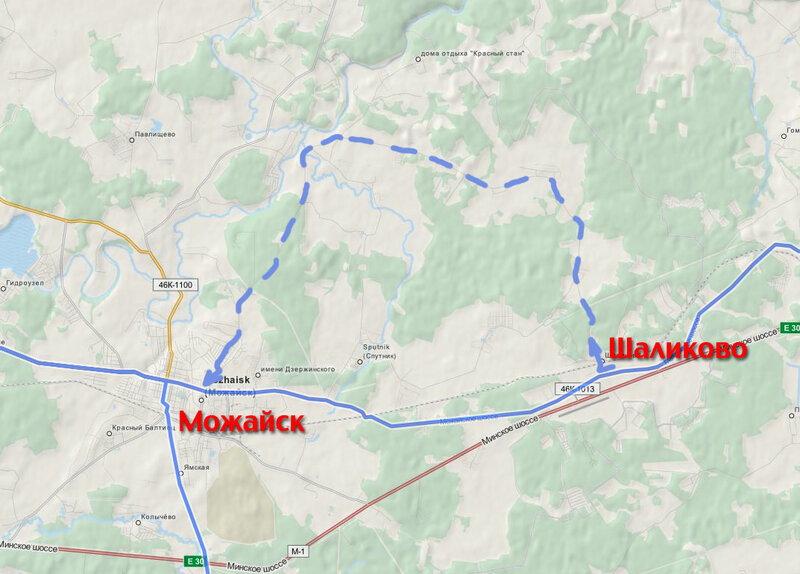 Brevet “Mozhaisky” especially interesting by historical sites of France-Russia war of 1812. Besides, underline large length of good roads for road bike. Here try to give a sufficient description. Brevet of this year (organised by veloclub “Caravan”) was on 25 July. I’ve participated also in brevet of last year and then we’ve returned for ride in the historical places. Link to the track (opens in a new tab). First, I focus on the quality of the roads. 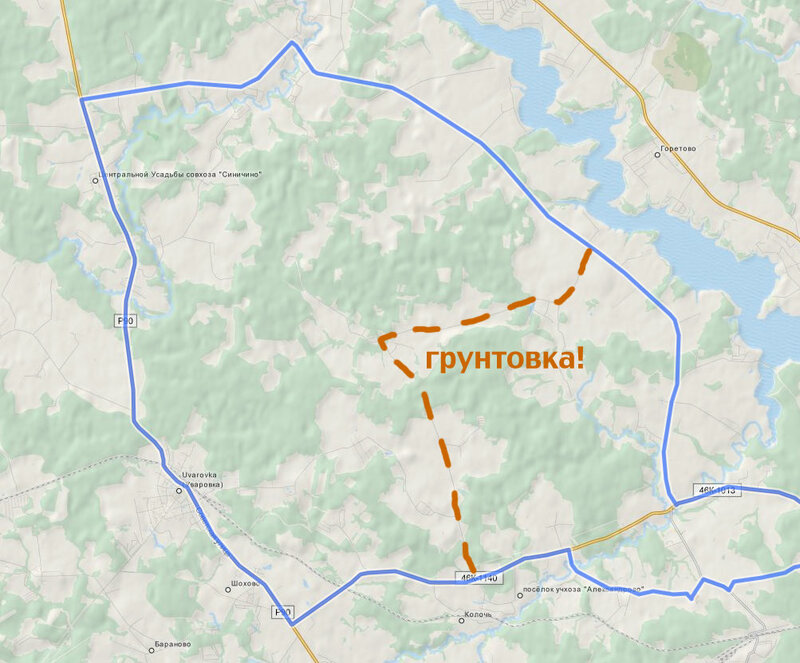 From the start in Kubinka near the Second World War memorial, go west on Mozhaisk roadway. The road is with beautiful coverage, very good profiled and with low traffic. Marked this quality with the red fill on scheme. Then we reach the field of Borodino and turn to a secondary road with the same high quality coverage. But the worse profiled with a many of hills. That marked with a green fill. With grey it marked secondary roads with a relatively poor coverage. Generally this is average coverage in Moscow country-side with granular asphalt, some holes and cracks, for which you need to watch. There were three checkpoints, they are marked with blue dots. Two near Borodino field, the third in Vereya. Here is the profile of altitude. After start there is 10 km trend “downhill”. Taking into account that this is on the Mozhaisk roadhway, decent speed gained. At the top of the loop to Uvarovka trend is “up the hill” with climb 80 meters, then the trend down from a hill that ends in 10 km to Vereya. Before Vereya few hills and then it goes on road with bad coverage. From the last 50 km, 40 passed through the hills with poor coverage. The last 10 km on the roadway from Narofominsk, which is well profiled and with good coverage. 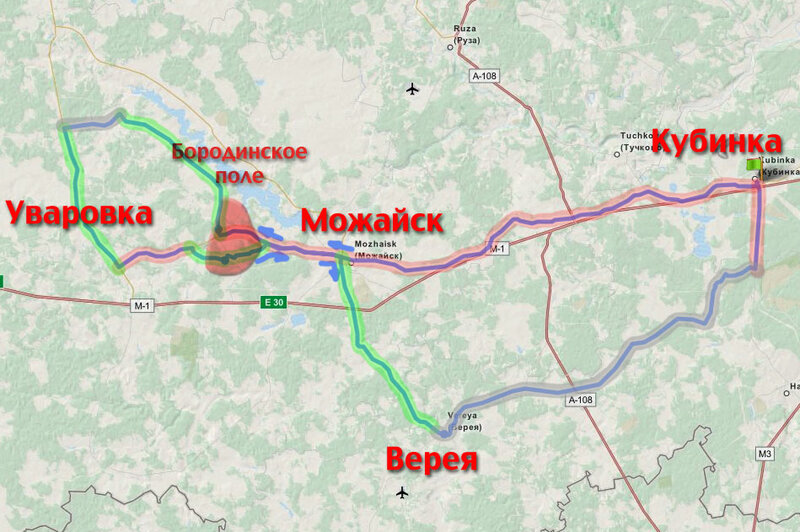 Last year, before the Borodino there was a “hook”, adding 10 km. Here is last year’s track. I apply it, because this segment is quite nice. 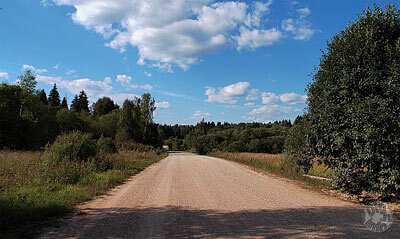 The road is of good quality and goes through rich picturesque villages and runs along high bank of the Moscow River. You can ride to the water, or at least admire. But this segment is not so fast. In Mozhaisk it begin temples and monuments dedicated to the events of 1812. Further, there are also some bunkers of the WWII. This continues to the field of Borodino. It’s hard to write, it is better to ride a bike, gradually absorbing the energy, she’s powerful. For clarity, I put a track on an old map with disposition of the French and Russian troops before the Battle of Borodino September 7, 1812. It was the bloodiest battle in the history to that time. It is believed that at Borodino field buried about 50,000 died. The exact amount of the loss is unknown 🙁 Napoleon added, “Moskva-river” battle for his victories, but with the remark that there was not defeat of Russian. 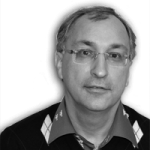 It must said that the strategy of Napoleon’s military campaigns was unconditional victory in a general battle. The army of the enemy must be eliminated. After that, make peace on terms the winner until the next season. The Battle of Borodino Napoleon considered as a general. Two days before the battle was taken Shevardino redoubt. During the battle line of defense of the Russian troops was only moved a little bit. After the battle, the French troops retreated to initial positions. CP1 (Check Point) was at Borodino. 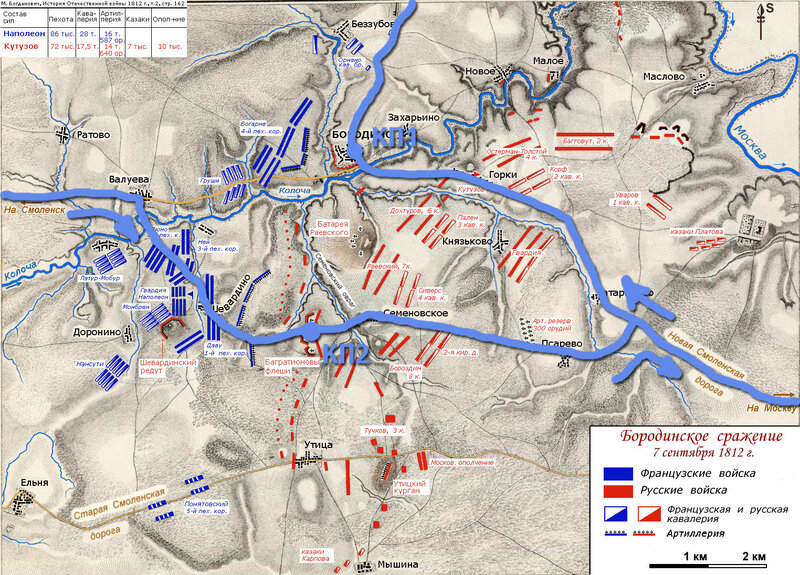 From there, we rode to north along the Borodino field, too, but in this part battles were not planned. Here was a cavalry raid of Platov and Uvarov to the rear of the French. CP2 was at the Spaso-Borodino nunnery. Founded on a place where there were Bagration fleches, by M.M. Tuchkova, widow of A.A. Tuchkov, who died in Borodino battle.